The all new Reflex Technology has finally come to our Visor Light series!! This is the brand new all 3 Watt per bulb, Reflex LED Visor Light. This visor light is the brightest in the market place. The Reflex LED Visor Light incorporates our new C4 light heads utilizing our new reflex technology. 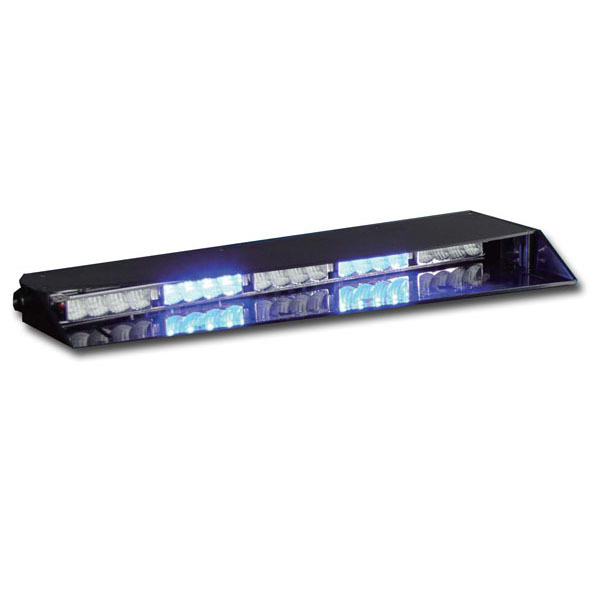 Equipped with 5 individual heads, each carrying four, 3 Watt LEDs, an internal reflector optimizes and enhances every individual LED light, making these LEDs that much more visible even in daylight situations. The Reflex LED Visor Light meets and exceeds ALL SAE standards. It comes in two units and is meant to be installed on the headliner of the vehicle near the visors. Optional Takedowns are available, and currently popular solid and split colors are available. Universal visor bracket mounts are included for easy mounting. When you want the latest in brilliant visor led technology, you don’t have to look any further than the Reflex LED Visor Light.